To celebrate the release of "GoldenEye 007: Reloaded", our friends at Activision have given us five copies of the game on Xbox 360 and five copies for Playstation 3 to give away to readers in the USA. A classic is reborn in "GoldenEye 007: Reloaded", with the forefather of First Person Shooters returning again to give gamers a re-imagined version of the epic original. With Daniel Craig taking the lead as the iconic British spy, it’s your chance to step into his shoes and live the ultimate Bond experience. With all the classic game modes and characters, along with all of your favourite Bond weapons, you can now re-live your favourite GoldenEye in HD, making it better quality than ever before. From taking on Jaws with a Moonraker Laser to facing Oddjob with a Golden Gun you can experience nostalgic Bond moments in all new 16 player multiplayer action. Playstation 3 Games Must Be Won! 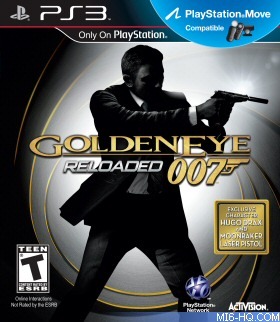 Which singer performs the title song for "GoldenEye 007: Reloaded"? The competition closes at midnight GMT on 14th December 2011. 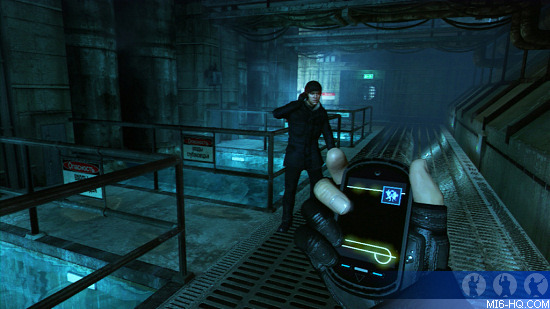 MI6 will choose the winners at random from the correct answers received. The winners will be contacted via the email address supplied and their postal address will be requested. If a winner fails to respond within 7 days of prize notification, another winner will be chosen until all prizes are allotted. Competition is open to MI6 readers based in the USA. Entrants must be at least 13 years of age.